Belgium, Netherlands and Luxembourg - historical architecture, market squares with medieval town halls, thousands of castles, some of the world`s finest medieval, Renaissance and Baroque art plus excellent cuisine and outstanding beer! Austria, Czech Republic, Germany and Hungary. These countries have shared similar culture and history throughout the ages and have so much to offer! Very heart of the land mass of Europe, including Austria, France, Germany, Italy and Switzerland, a delightful area to combine by train. 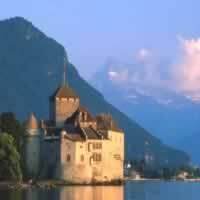 Beautiful scenery, Alps, lakes, charming villages and so much more! Easygoing, liberal Amsterdam is "different." Its citizens, bubbling along happily in their multiracial melting pot, are not so easily poured into the restrictive molds of trade and industry. More important, you can enjoy Amsterdam, its culture, history, and beauty, without stretching the limits of your credit cards. Few skyscrapers mar the clarity of the sky and the populace mostly walks or bikes from place to place. The historic center recalls Amsterdam's Golden Age as the command post of a vast trading network and colonial empire, when wealthy merchants constructed gabled residences along neatly laid-out canals. Dam Square, Anne Frank House, Bloemenmarkt, Rijksmuseum, Van Gogh Museum, Canal Belt, Jordaan, Red Light District and so much more! Europe's largest and busiest port, Rotterdam is also the most modern city in The Netherlands. The symbol of the city is the Euromast Space Tower (605ft/184m) from which you have an excellent view over the city. One of Rotterdam's main attractions is Diergaarde Blijdorp, the extensive zoo that includes the impressive Oceanium, where visitors can walk through the huge shark tunnel surrounded by sharks and giant tortoises. Another worth visiting place is the Boymans-van-Beuningen Museum displaying a beautiful collection of painting, sculpture and design. Maastricht was the first settlement in the Netherlands dating back from the Celtic period. Nowadays, it is a bustling town with shops which attract customers from Belgium and Germany, drawing numerous tourists and businessmen. Maastricht has a historic heritage, well worth visiting, consisting in: the Helpoort and the city wall, Vrijthof square, with the Vrijthoftheatre (Theater aan het Vrijthof), the Saint Servatius basilica (Sint-Servaasbasiliek) and the Saint Johns church (Sint-Janskerk). Apeldoorn is known as the favourite country-seat of the royal family of the Netherlands called the palace Het Loo, which reflects the historical ties between the House of Orange-Nassau and the Netherlands. The palace was built in the 17th century for William III of Orange. Another attraction is the 'Apenheul' primate park housing over 35 species of monkeys, apes and lemurs. Apeldoorn is surrounded by beautiful woods which are very suitable for a nice walk or cycle tour. For the youngsters there's the Julianatoren attraction park. 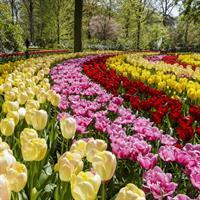 Surnamed the "Garden City on the Rhine," Arnhem is the capital city of the province of Gelderland in east Netherlands. The main attraction is Burgers' Zoo - the biggest and most-visited zoo in the Netherlands, featuring an underwater walkthrough, desert, mangrove, rainforest, etc. Don't miss the National Heritage Museum - an open air museum and park with antique houses, farms, and factories from different parts of the Netherlands. Nearby Arnhem, in Grote Hartensteyn, you can visit the Airborne Museum or medieval Doorwerth Castle. Situated halfway between Rotterdam and Antwerp, Breda is a quiet student town. The city centre has many beautiful old buildings. The major landmark is the tower of the Grote or Onze Lieve Vrouwe Kerk (the Church of Our Lady) dominating the town's skyline. Breda has an impressive historic heritage with monuments, references and memorials. The Dutch Royal Military Academy, Koninklijke Militaire Academie, is located here. The city has a lively nightlife offering many restaurants, bars and pubs with a warm atmosphere. Easygoing, liberal Amsterdam is `different.` It`s beautiful canals and historic homes, the friendly nature of the Dutch, the world-famous museums, lovely parks, and the quality of life all contribute to make this one of the most romantic and beautiful cities in Europe. 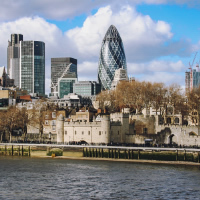 Two stunning cities with diverse cultures, a popular combination! 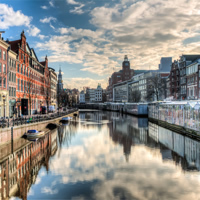 Begin in Amsterdam(charming floating tulip shops in this city of canals; the Anne Frank House Museum, the Jewish Cemetery and the famous, fascinating Red Light district - a truly eclectic mix of interests and activities). Next is Barcelona (the city of incomparable architecture by artist Gaudi, on the biting edge of food, fashion, music and good times). This is a flexible vacation package. Select your number of nights, desired hotel and activities. A taste of two of the most fascinating cities in Europe! 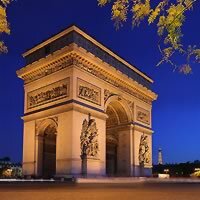 Visit Paris (The City of Lights with impressive monuments, museums, culture and gastronomy) and Amsterdam (easygoing and liberal; a diverse culture full of museums, shops and eclectic neighborhoods set along tranquil canals with a vibrant nightlife). Travel between these two amazing destinations by train. This is a flexible package. Select your number of nights in each city, desired hotel and activities. What a popular combination! Three fascinating cities will entertain, pamper and restore your senses. Beginning in London (immaculate English gardens, world-class shopping, a vivid nightlife, culture, theater and magnificent Royal palaces to explore); Paris (a haven for the romantics of the world, the City of Lights offers grand boulevards, intimate alleys, museums, incomparable cuisine and wines) and finally Amsterdam (the charming, eclectic city set on canals; visit historical sights, enjoy traditional almond cakes and take in the wonderful atmosphere of diversity and coexistence). Travel between each via high speed trains. This is a flexible vacation package. Select your number of nights, desired hotel and activities. A popular, customizable vacation to Europe begins in Amsterdam (a charming, eclectic city set on the banks of beautiful canals; full of history and diversity) and continues through Brussels (a city blending modern buildings along traditional cobblestone streets, museums and incredible food) connected by the ICE (InterCity Express) train. This is a flexible vacation package. Select your number of nights in each city, desired hotel and activities. A popular, customizable vacation to Europe begins in Amsterdam (a charming, eclectic city set on the banks of beautiful canals; full of history and diversity) and continues through Brussels (a city blending modern buildings along traditional cobblestone streets, museums and incredible food) and ends in Paris (The Louvre, The Eiffel Tower, the Champs-Elysses and gourmet foods and wines). This is a flexible vacation package. Select your number of nights in each city, desired hotel and activities. Easygoing, liberal Amsterdam is `different.` Its citizens, bubbling along happily in their multiracial melting pot, are not so easily poured into the restrictive molds of trade and industry. More important, you can enjoy Amsterdam, its culture, history, and beauty, without stretching the limits of your credit cards. Few skyscrapers mar the clarity of the sky and the populace mostly walks or bikes from place to place. The historic center recalls Amsterdam's Golden Age as the command post of a vast trading network and colonial empire, when wealthy merchants constructed gabled residences along neatly laid-out canals. We recommend at least 6 nights in this magnificent city to enjoy its full scope! Must See`s include: Dam Square, Anne Frank House, Bloemenmarkt, Rijksmuseum, Van Gogh Museum, Canal Belt, Jordaan, the Red Light District and so much more! This is a flexible vacation package. Select your number of nights in each city, desired hotel and activities. A diverse, popular and fascinating trip through Europe starts in Amsterdam (with world famous museums, an unsurpassed atmosphere of tolerance, acceptance and rich culture); fly to Paris (renowned for its romantic feel, intimate strolls along the Champs Elysees and unmatched shopping) and then continue to Rome (a veritable wealth of history, religion, culture and centuries of artistic achievement). This is a flexible vacation package. Select your number of nights in each city, desired hotel and activities. Combine 2 popular cities in Europe with a short connecting flight in this vacation package. Start with a stay in Dublin (a vibrant city with old castles and trendy pubs) and then visit Amsterdam (a diverse, historic city charmingly perched on a series of canals). This is a flexible vacation package. Select your number of nights in each city, desired hotel and activities. Amsterdam, Brussels, Bruges and Paris with the Thalys and ICE trains. This whirlwind Europe vacation package begins in Barcelona (the cosmopolitan capital of Spain’s Catalonia region, is known for its art and architecture. The fantastical Sagrada Familia church and other modernist landmarks designed by Antoni Gaudi dot the city), continues through Paris (the romantic City of Lights) and finally Amsterdam (the charming city set on canals, full of history, diversity and tolerance). This is a flexible vacation package. Select your number of nights in each city, desired hotel and activities. A popular, customizable vacation to Europe begins in Amsterdam (a charming, eclectic city set on the banks of beautiful canals; full of history and diversity) and continues through Bruges (the fairy tale city; experience the authentic chocolate shops and lace boutiques by horse drawn carriage through cobblestone streets) and finally Brussels (a city blending modern buildings along traditional cobblestone streets, museums and incredible food) connected by the ICE (InterCity Express) train. This is a flexible vacation package. Select your number of nights in each city, desired hotel and activities. Explore 4 fascinating, popular cities in Europe by way of flight and train, providing the opportunity to see the lovely countryside in this customizable vacation package! Begin your adventure in Amsterdam (a historic city known for its tolerance and diversity, full of charming neighborhoods and history) then take the high speed train to Paris (romance, culture, shopping, exquisite cuisine); next fly to Berlin (the capital of Germany, with a racing heartbeat which runs through the city at all hours - you cannot be bored here!) and lastly take another train to Prague (centuries of culture and history culminate with a blend of thriving theater, restaurants and shopping). This is a flexible vacation package. Select your number of nights in each city, desired hotel and activities. What a popular combination! These fascinating cities will entertain, educate and inspire! Beginning in London (immaculate English gardens, world-class shopping, a vivid nightlife, culture, theater and magnificent Royal palaces to explore) and continuing to Amsterdam (the charming, eclectic city set on canals; visit historical sights, enjoy traditional almond cakes and take in the wonderful atmosphere of diversity and coexistence). Travel between each by a short flight This is a flexible vacation package. Select your number of nights, desired hotel and activities. Visit two of our most requested cities in Europe with this unique, flexible vacation package! Start your trip in Amsterdam (a multi-racial melting pot with a history of tolerance and acceptance; a charming canal city full of history and excitement) and continue to Berlin (a cultural capital; art, theater, opera, dance - there is no shortage of activities here). Connection between cities by high-speed train. This is a flexible vacation package. Select your number of nights in each city, desired hotel and activities. Visit two of the most popular capital cities in Europe with a unique vacation package! Start your trip in Copenhagen (filled with stunning architecture. world-class museums, parks, gardens and palaces) and fly to Amsterdam (a multi-racial melting pot with a history of tolerance and acceptance; a charming canal city full of history and excitement). Connection between cities by flight. This is a flexible vacation package. Select your number of nights in each city, desired hotel and activities. Sample the Benelux! Visit Amsterdam (Easygoing and liberal with its the museums, canals, beautiful neighborhoods and exciting nightlife), Luxembourg (Charming old city with its cobbled streets and imposing walls, and feast your eyes on ornate windows or jewel-like medallions) and Brussels (With the Grand Place, mussels with chips, pralines, under crowded museums, totally sumptuous, historic and luxuriously cozy full of delights). Travel between them by train. This is a flexible package. Select your number of nights in each city, desired hotel and activities. 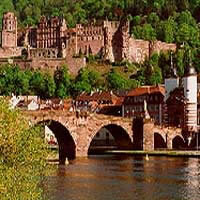 See Europe and its most fascinating cities with this customizable vacation package! Begin in Dublin (overflowing with tradition and majestic countryside) and then fly to London (a bustling city with fabulous shopping and culture); take the Eurostar train to Paris (the romantic City of Lights) then the Thalys to Amsterdam (a diverse city, rich is history and perched on canal banks). This is a flexible vacation package. Select your number of nights in each city, desired hotel and activities. Europe has a reputation for progressive thinking, acceptance and diversity. This popular vacation package highlights these ideals with visits to Amsterdam (a city renowned for tolerance and diversity; museums highlight the city`s acceptance of all creeds and the infamous Red Light district exemplifies the city's progressive attitude); Barcelona (combining a unique cultural heritage with the best in fashion, architecture, food, style, music and good times - this buzzing city is always on the cutting edge) and Ibiza Island (the Party Island, with gorgeous beaches and vibrant nightlife). Flights between cities. This is a flexible vacation package. Select your number of nights in each city, desired hotel and activities. Combine Amsterdam, Maastrich and Rotterdam with the EC Trains. 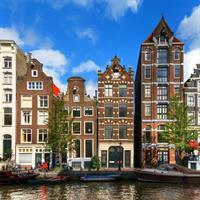 Combine the Netherlands and Belgium with this one of a kind vacation in Europe! Begin your adventure in Amsterdam (a charming city set on canals; tolerance and diversity permeate the atmosphere - from the famous flower market to the infamous Red Light district); next take the train to Antwerp; followed by Ghent (renowned for its textile industry, marvel at the remarkably well preserved Medieval architecture), Bruges (a UNESCO World Heritage site; explore all its charm - chocolate shops, lace boutiques and ambient restaurants on foot or in horse drawn carriage) and finally, Brussels (sumptuous, historic and cozy - visit the Grand Palace, and enjoy the modern buildings facing ancient cobble stone streets in this welcoming city). Travel between all these fabulous destinations by train.This is a flexible vacation package. Select your number of nights in each city, desired hotel and activities.